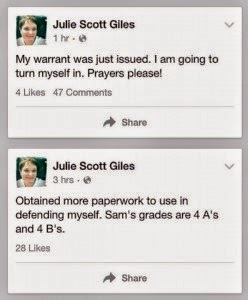 Mother and substitute teacher Julie Giles was arrested this week because her son had too many unexcused absences from public school. She also noted that her child has all A’s and B’s in school. WTOC’s Don Logana contacted Screven County Schools Superintendent William Bland, who told him that the school district is working within the law. “It’s important for these children to be in school and I think the courts recognize that,” he said. Logana also learned during his investigation that several other parents have been convicted for the same offense at this school this year alone.